Jeff Sessions and Donald Trump, 21st century drug warriors! 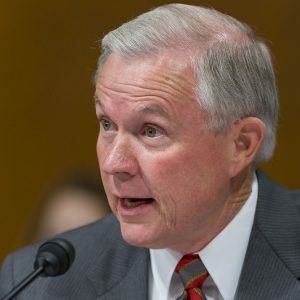 Speaking to reporters at the Department of Justice, Sessions claimed he’d been talking to people who oppose marijuana legalization, such as Nebraska’s attorney general. Nebraska and Oklahoma filed suit in federal court in 2014, trying to overturn Colorado marijuana legalization that was enacted in 2012. In the lawsuit, the two states (both adjoining Colorado) claimed that Colorado marijuana was entering their states and harming citizens. Their lawsuit was later dismissed by the U.S. Supreme Court. But that hasn’t stopped those and other prohibitionist states from petitioning Sessions and his boss Donald Trump, urging the feds to squash state-level marijuana legalization. BigBudsMag.com reported previously that Idaho Republican Governor Butch Otter wrote a letter to Trump begging for Trump to stop marijuana legalization in Oregon and Washington—two states adjoining Idaho. 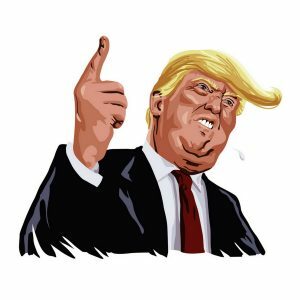 Last week, White House spokesperson Sean Spicer said that while Trump might not go after medical marijuana, he would likely go after legalized recreational marijuana. In that statement, Spicer made vague and confusing allusions to opiate addiction, leading many to conclude that Spicer was saying Trump believes marijuana use leads to heroin use… one of the stupidest and easily disproven reefer madness lies. Now Sessions is spreading more reefer madness lies—that marijuana is extremely harmful, and leads to violence. After Sessions made the comments, scientists and scholars publicly stated that he’s totally inaccurate. Studies show that violence and opiate addiction DECREASES when marijuana is legalized. 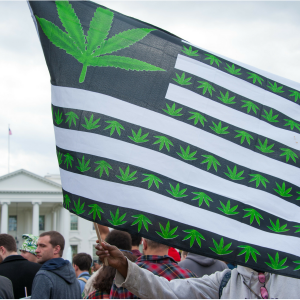 Many people in the commercial marijuana industry, along with growers and users who voted for Trump, believed Trump when he said during the presidential campaign that marijuana legalization was a “state’s rights” issue that the feds shouldn’t interfere with. Now, they believe Trump lied to them. “It was a bad choice in 2016—Trump or Hillary—because both were against marijuana, totally clueless about it,” explains Jonas, a venture capital investor who has spent nearly a million dollars helping three legalized marijuana businesses start in Colorado. “But I figured Trump is a businessman who ran casinos and does all kinds of shady deals because he loves money, so why would he mess with legalized marijuana, which is worth billions of dollars. I was wrong to trust him. I know a lot of pot industry people who voted for him who hate him now,” Jonas said. The feds and even local police in some legalized states have continued to bust large-scale grow ops and people making cannabis concentrates, Jonas said. Jonas is accurate in saying that if Sessions and the Department of Justice decide to attack legalized marijuana, it will be easy for them to find people to bust. In Colorado, Oregon, Washington, California, Michigan and other legalized states, marijuana growers, users, processors, and sellers have in many cases self-identified and registered with government agencies. Legalized marijuana dispensaries operate openly, just like restaurants, bars, and other legal businesses. 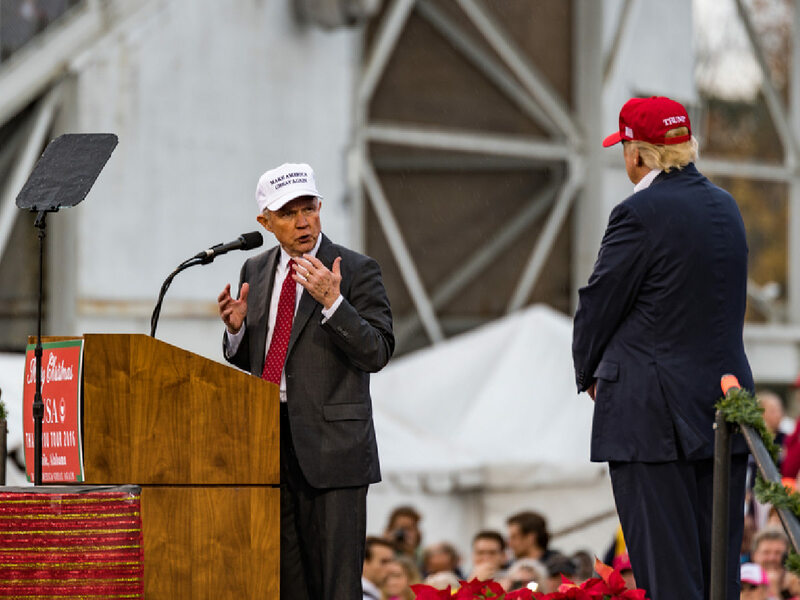 When Trump first chose Sessions to be attorney general, the marijuana community was alarmed. Sessions has a long history of lying about marijuana. And he’s been a relentless supporter of the DEA. Sessions has also been implicated in racist voter suppression and other right-wing causes. He was disqualified from holding a federal position in 1986, because of his history of making racist comments. During recent Senate confirmation hearings, senators presented evidence that Sessions is a career racist, and lied about his professional past to cover up his racism. Jonas says Trump and Sessions would be making a big mistake coming after the marijuana community. It would go directly against Trump’s promise to help more Americans have good jobs, Jonas explained, because the marijuana industry has created an economic boom in many towns that were formerly economically depressed.